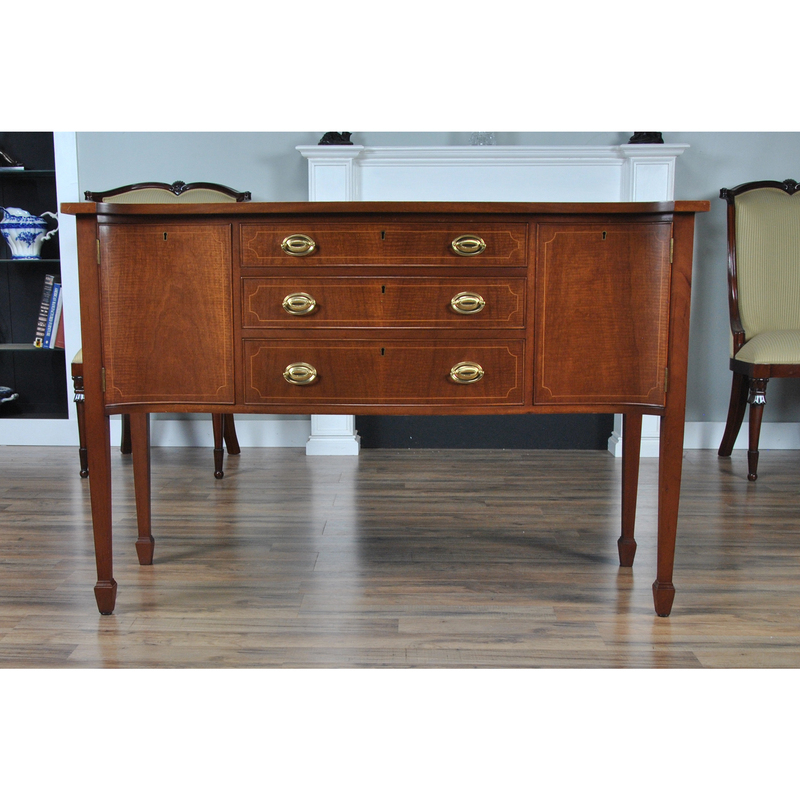 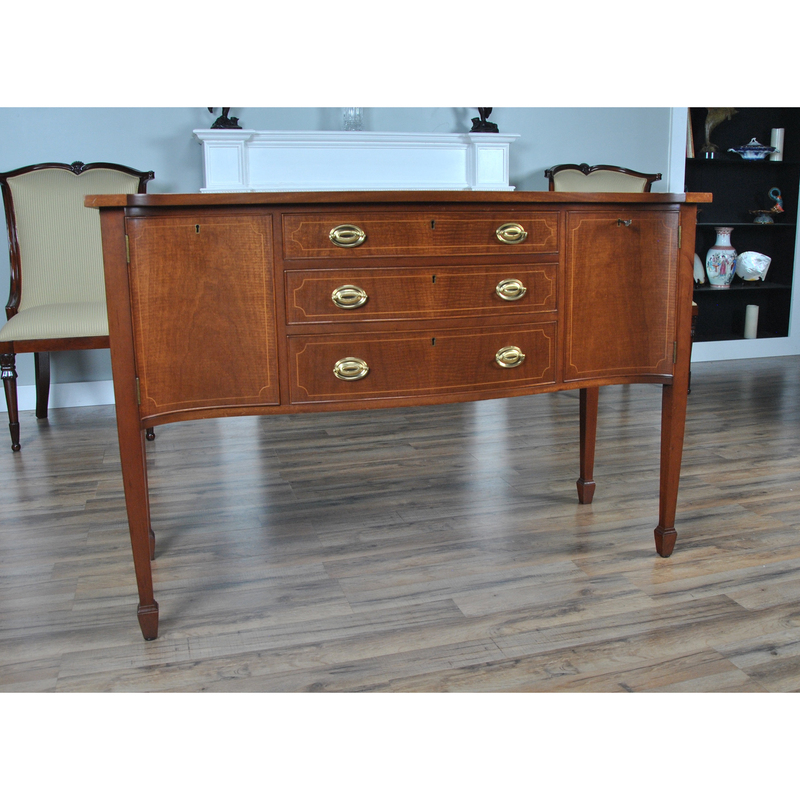 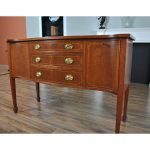 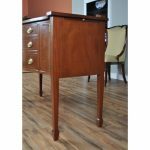 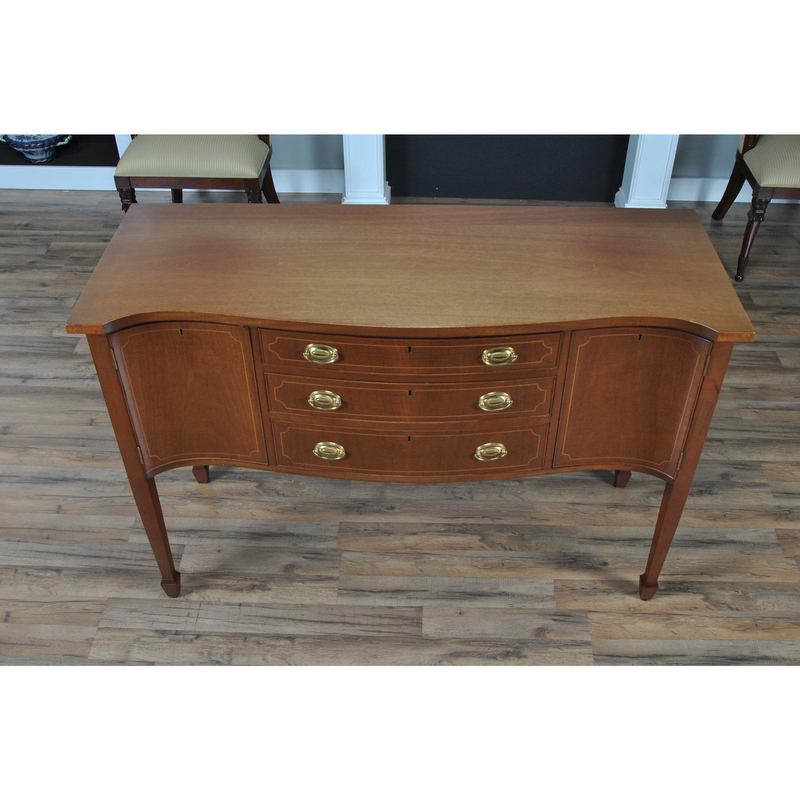 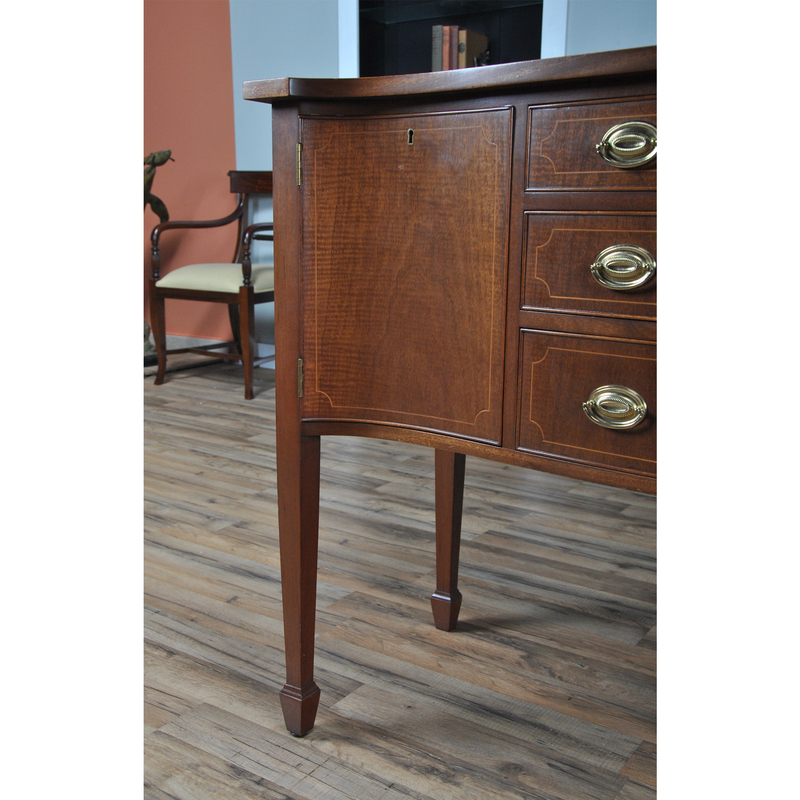 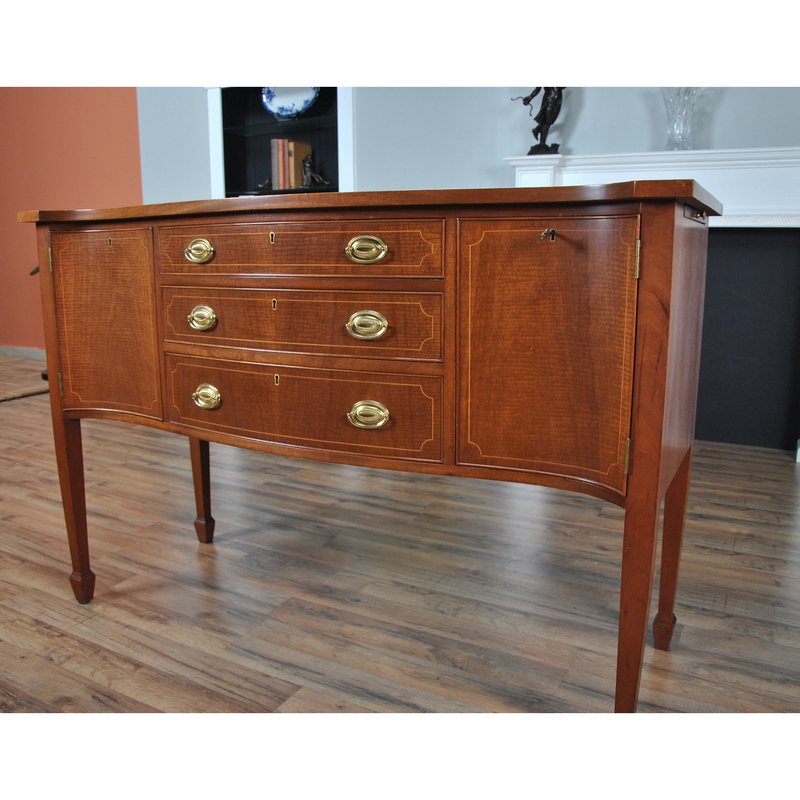 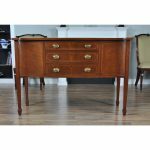 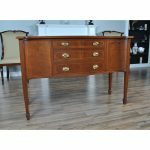 From Niagara Furniture a vintage Biggs Sideboard in excellent original, as found, condition. 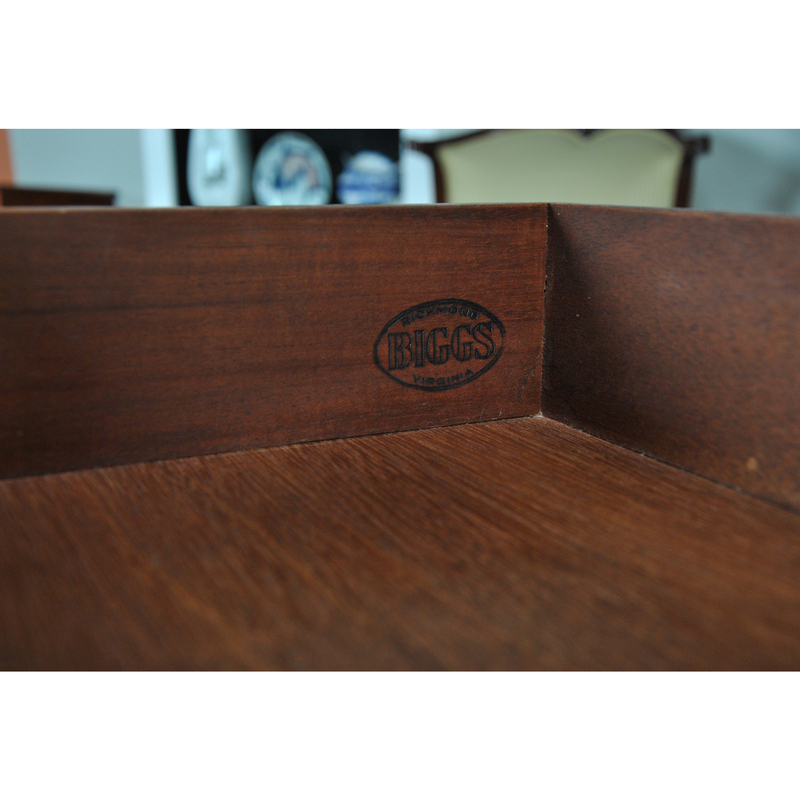 Simple yet sophisticated this beautiful Biggs has everything going for it. 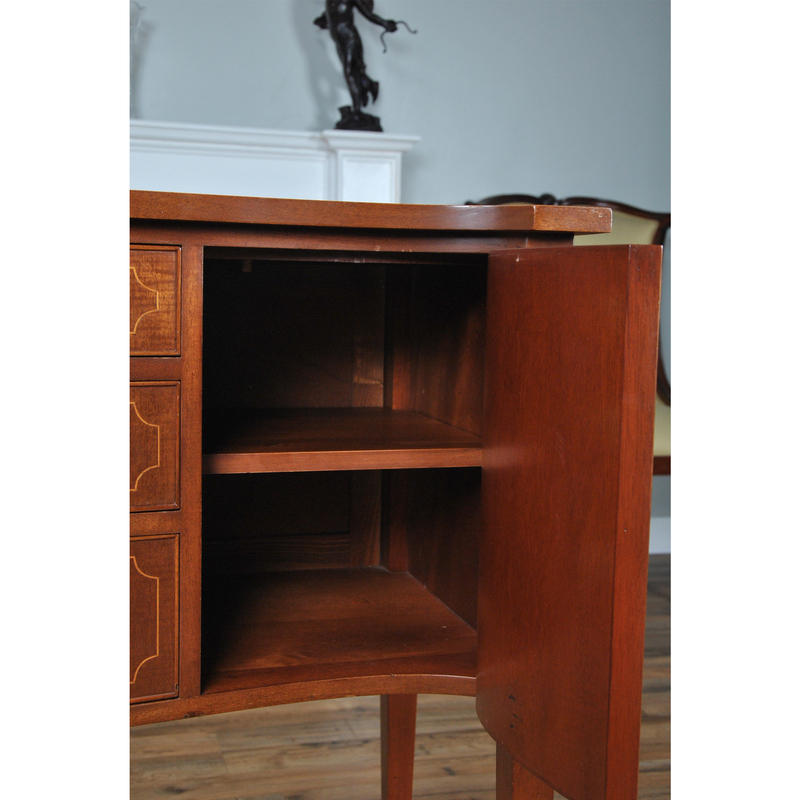 A beautifully proportioned sideboard this item boasts a great amount of storage space featuring three drawers and two large cupboard areas. 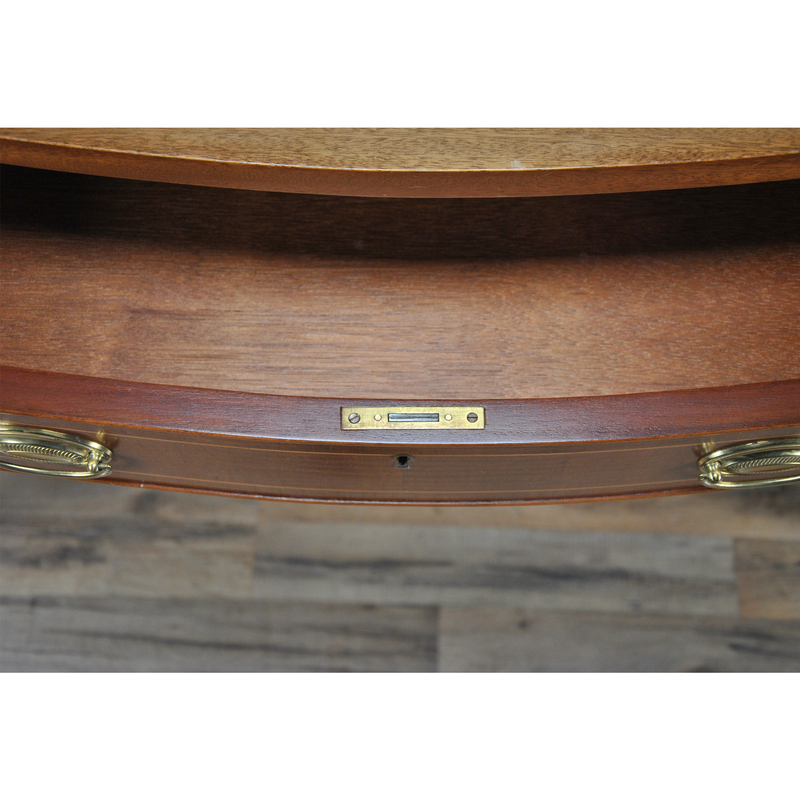 On both sides of the cabinet is a lovely candle stand which can be pulled out as required, each candle stand measures approximately 8 inches x 8 inches. 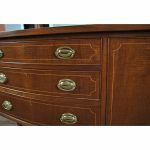 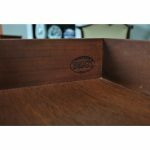 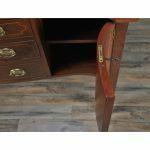 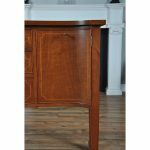 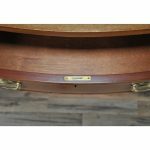 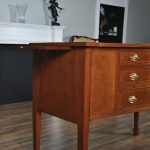 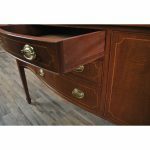 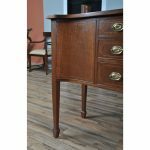 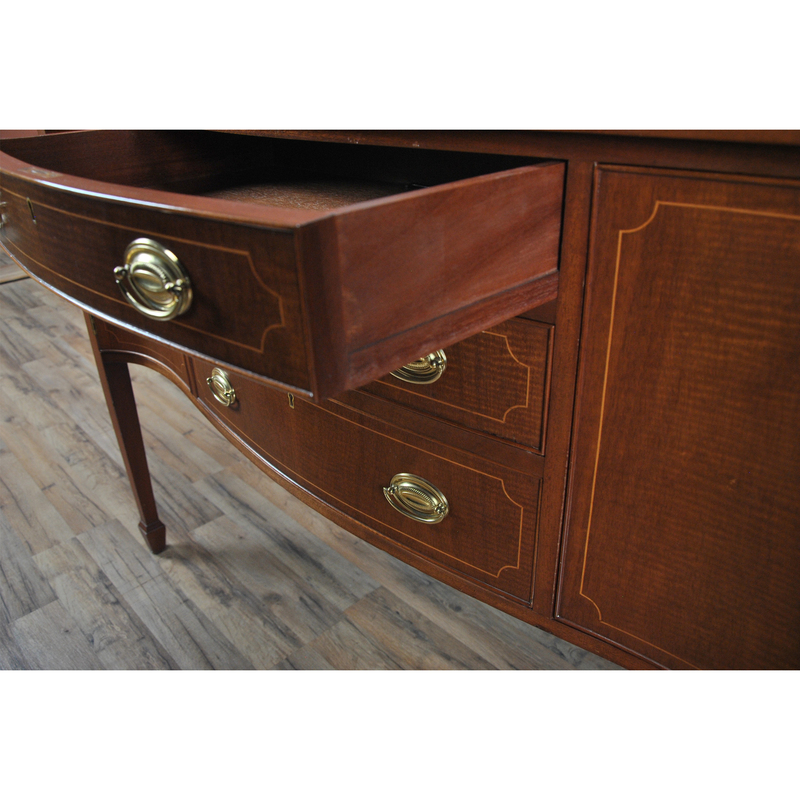 The drawers are dovetailed with the secondary portions of the drawers being produced from mahogany and all of the drawers also feature drawer glides for easy opening and closing. 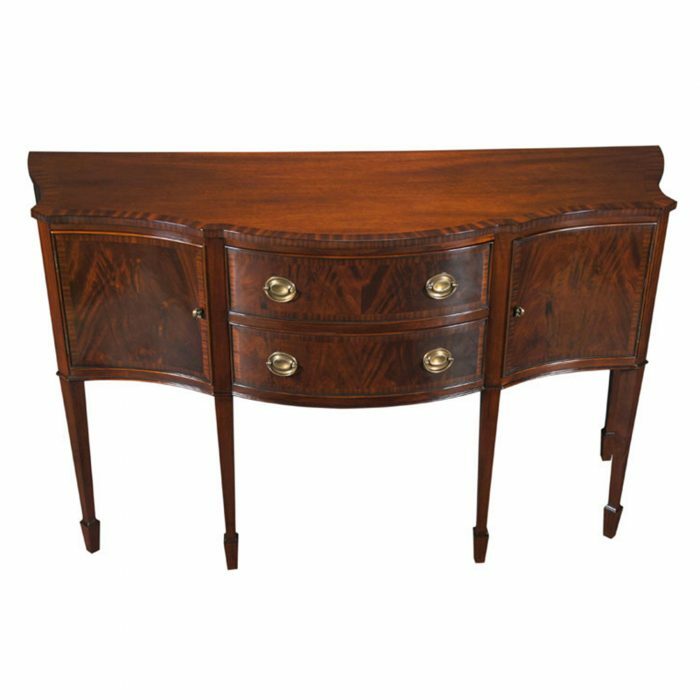 The serpentine shaped front is a classic design feature and this shape is highlighted on the top of the sideboard and this shaping continues downward and is reflected on both the door and drawer fronts. 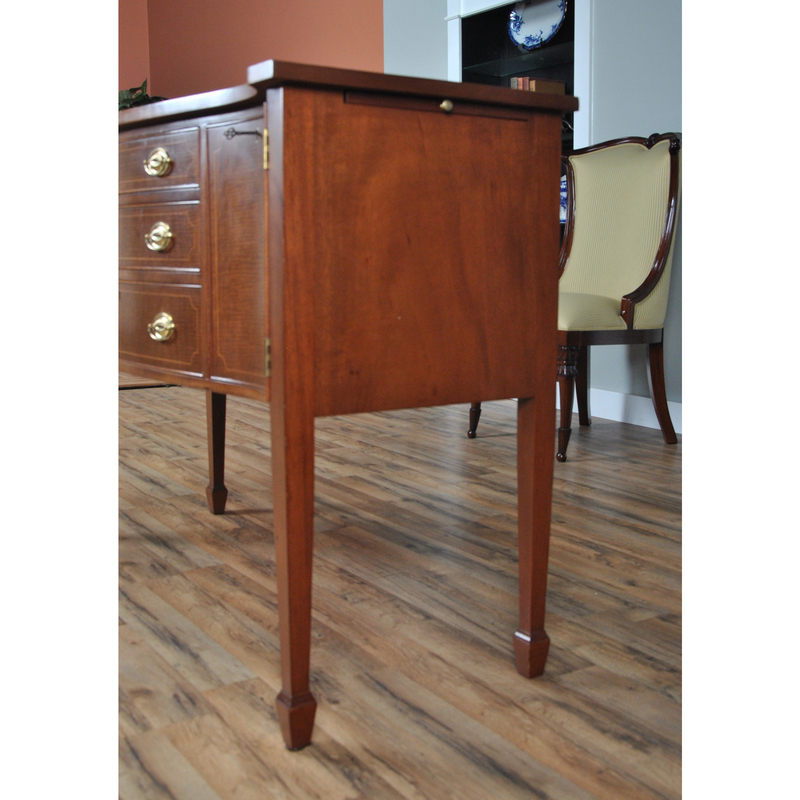 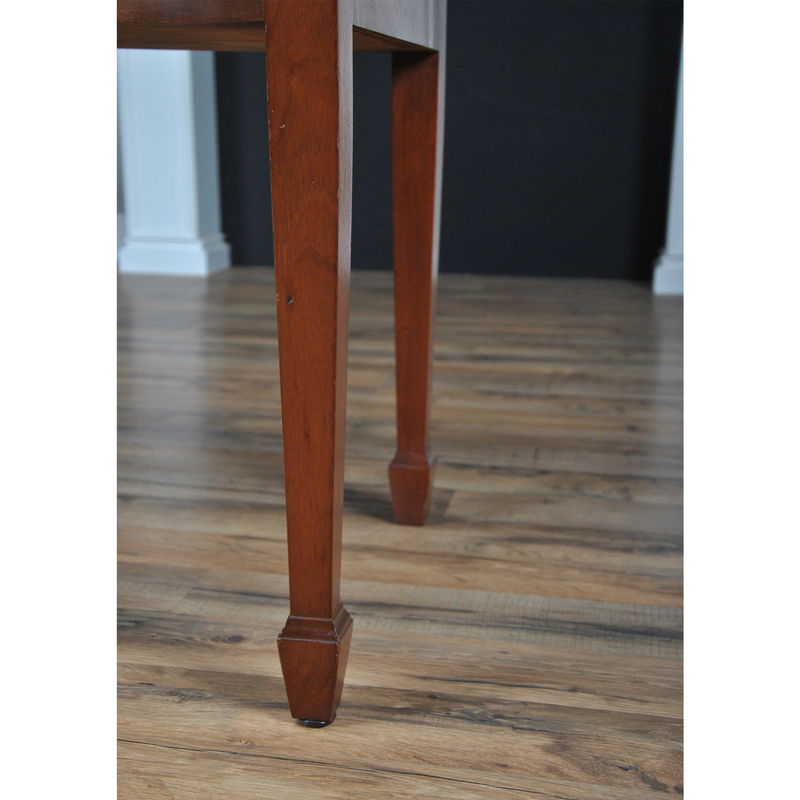 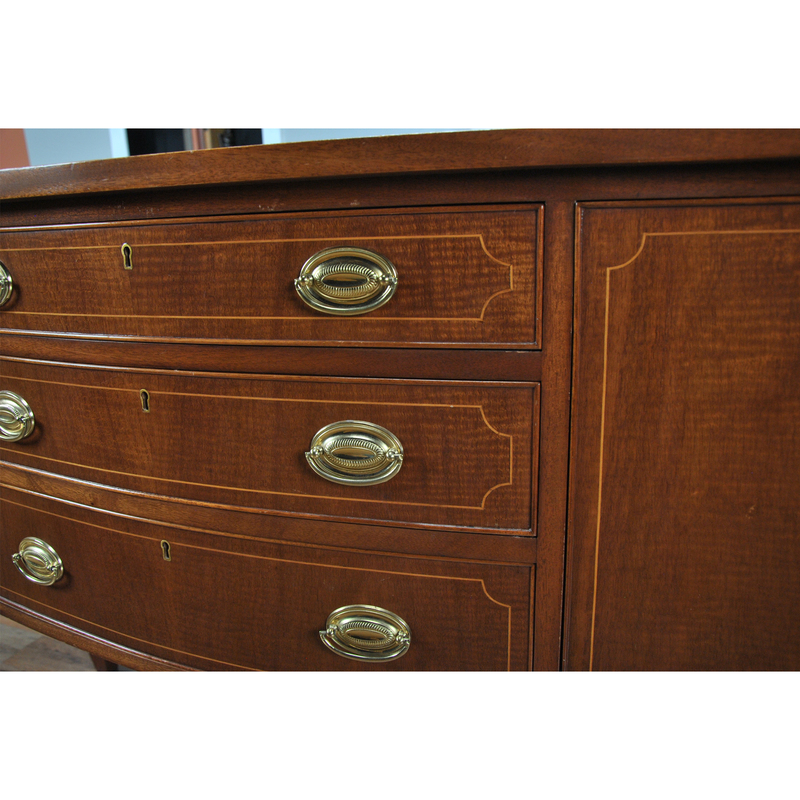 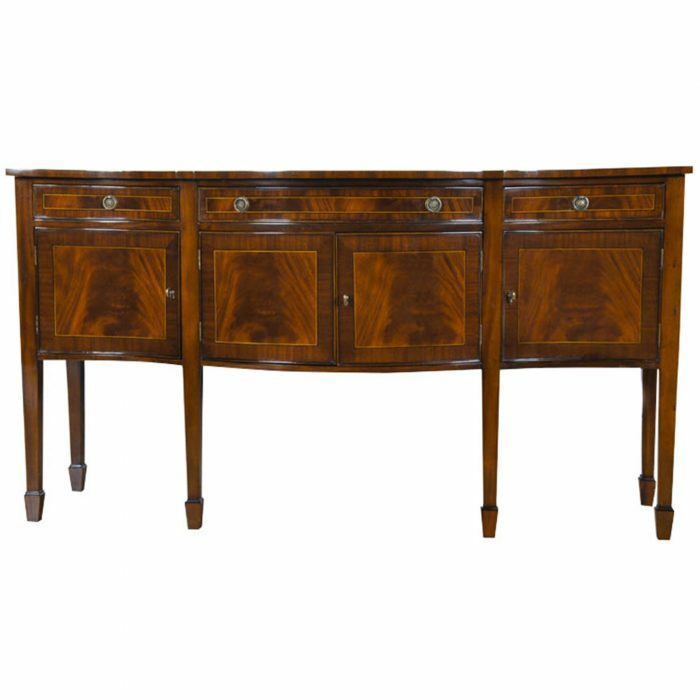 High quality construction throughout is exemplified in the solid mahogany legs, the designer style hardware as well as the dovetailed drawers. 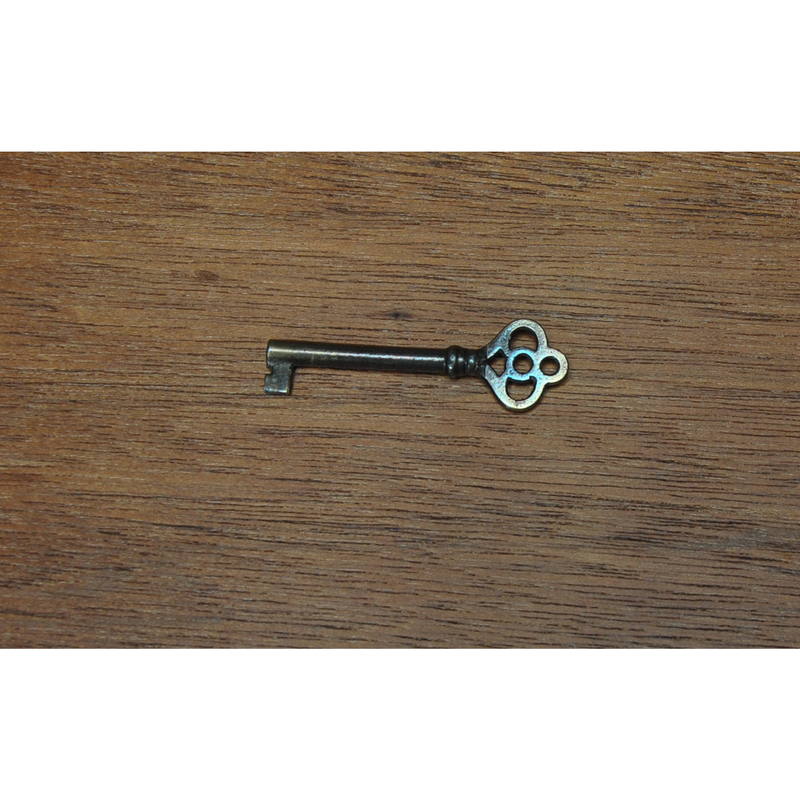 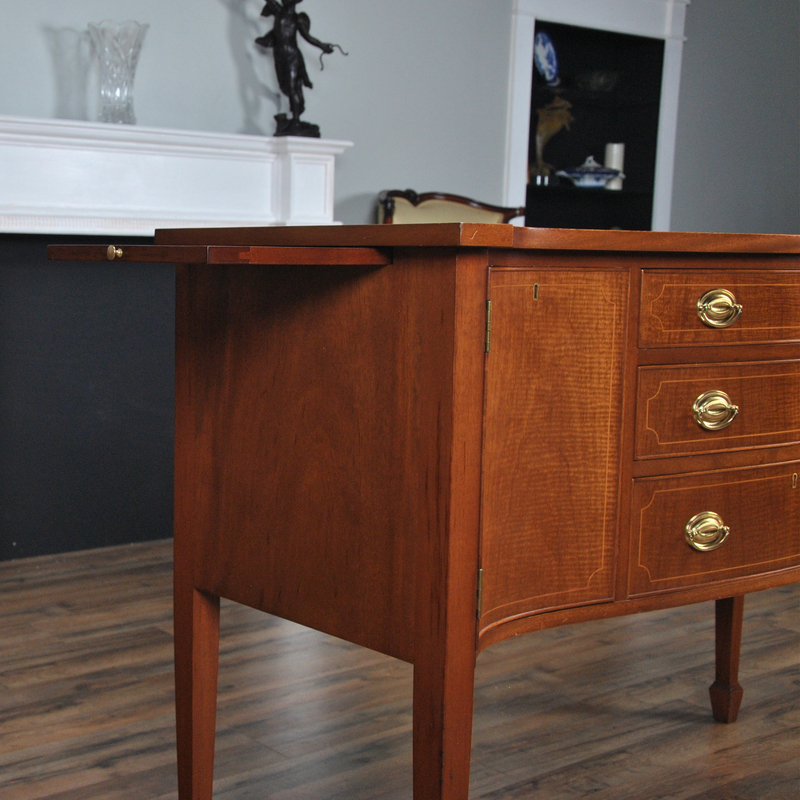 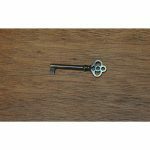 Each cabinet area and each drawer features a working lock and there is an original key that comes with the sideboard. 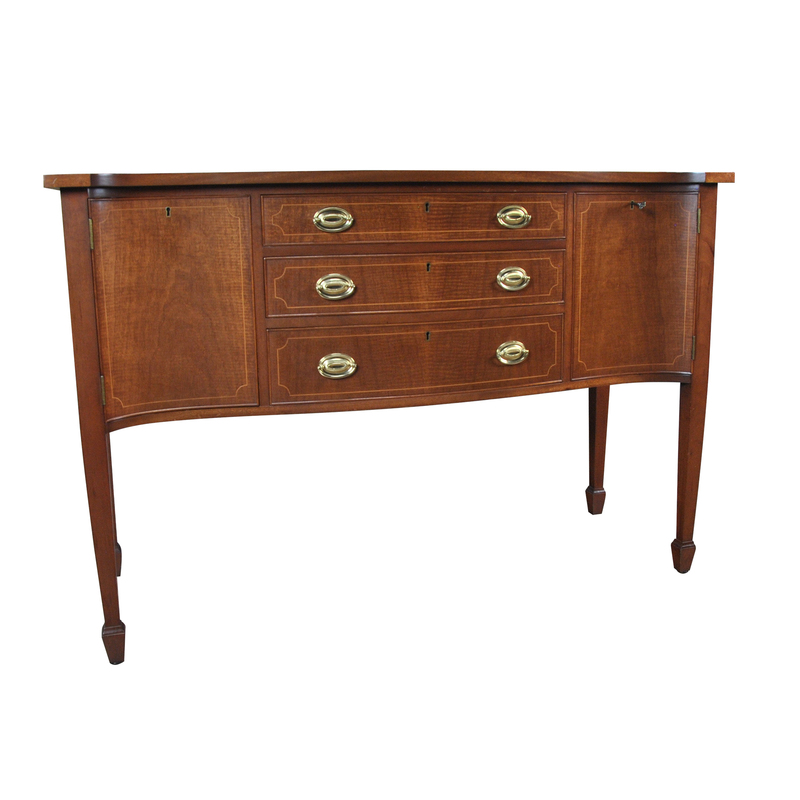 This Biggs Sideboard rests on four fantastic, solid mahogany tapered legs. 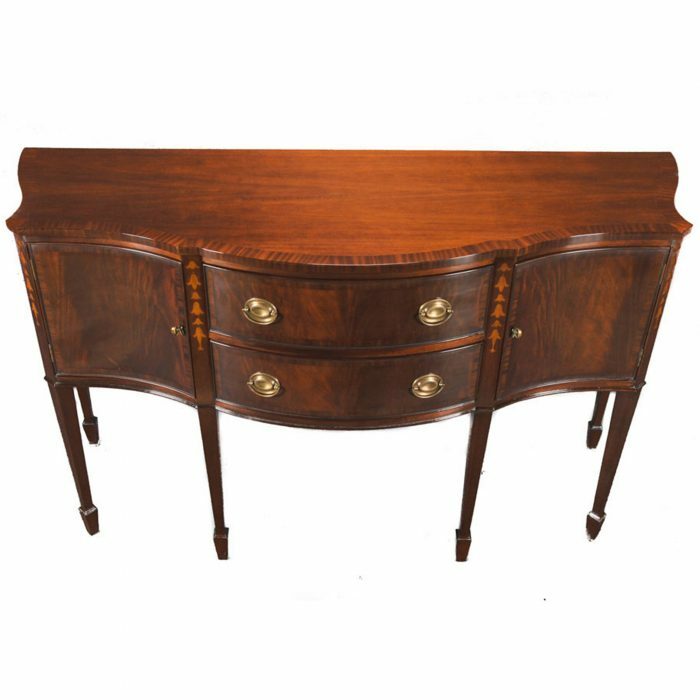 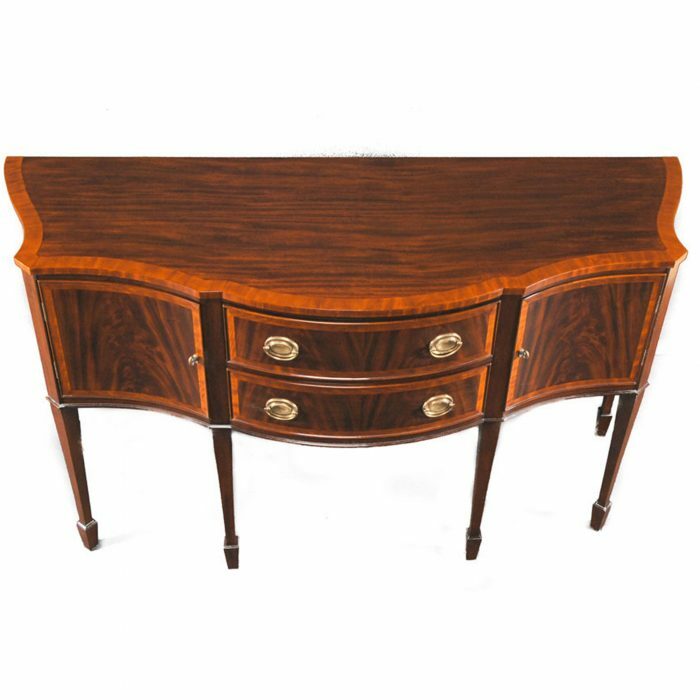 The cupboard doors and drawers each have wonderful, fine pencil thin inlays which highlight the shapely contours of the sideboard. 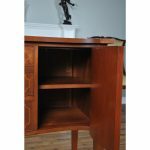 The cupboard areas also feature solid wooden shelves which can be either adjusted up and down or removed from the cabinet altogether if so desired. 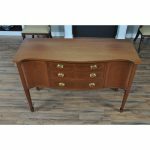 As with all antique and used pieces of furniture there will be some small signs of wear and tear but overall this item is in excellent original condition. 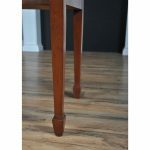 There is some sun fading to the top.